So, you see that asterisk? 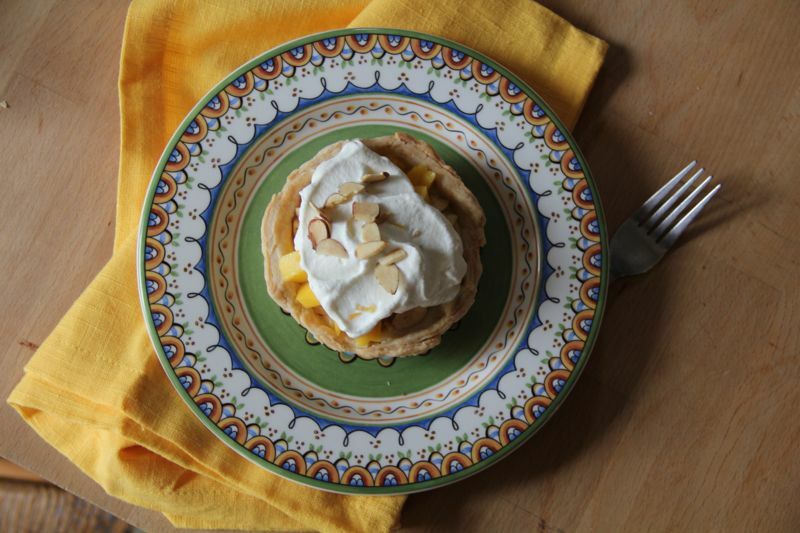 Yeah, Mango Cream Tart is not a recipe in the Tartine cookbook. I started out with the intent to make Lemon Cream Tarts. 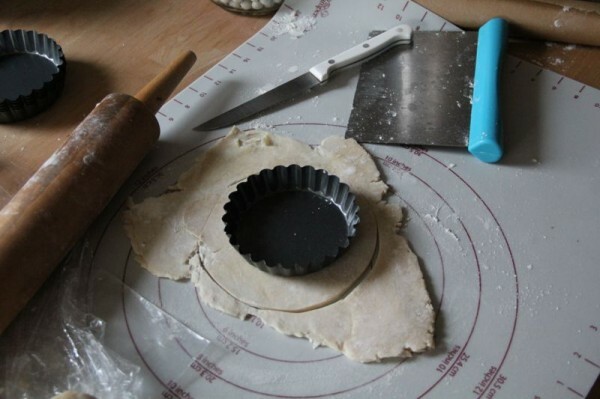 I had a round of pastry dough in the freezer, so I thought I’d saved myself a step. 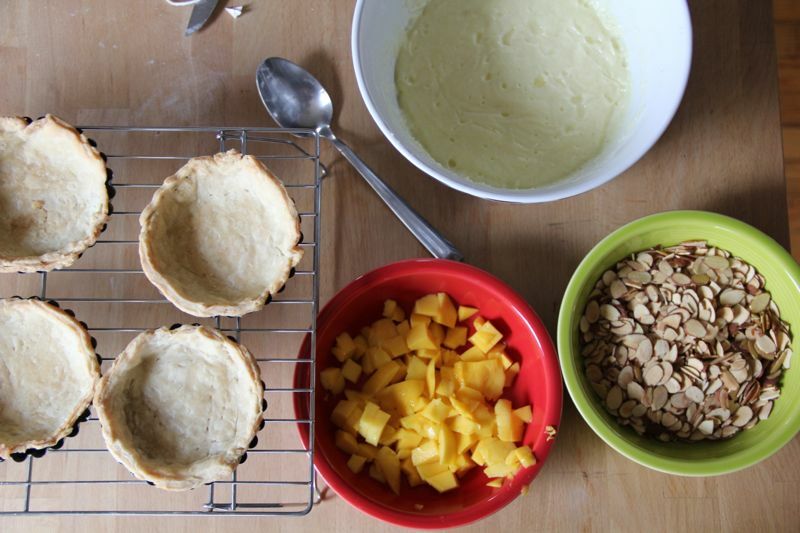 Then I realized that recipe called for the sweet tart dough, not the flaky tart dough I had on hand. 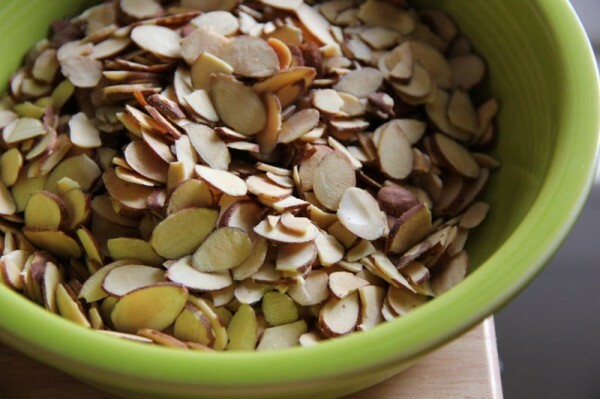 I switched it up and decided on making Frangipane Tart. 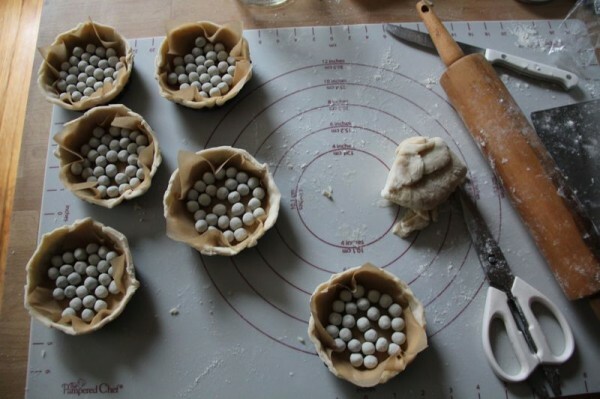 I was so excited to make tiny tarts (I’ve only made 9 and 10 inch pies and tarts thus far), so I rolled them out and baked them up! 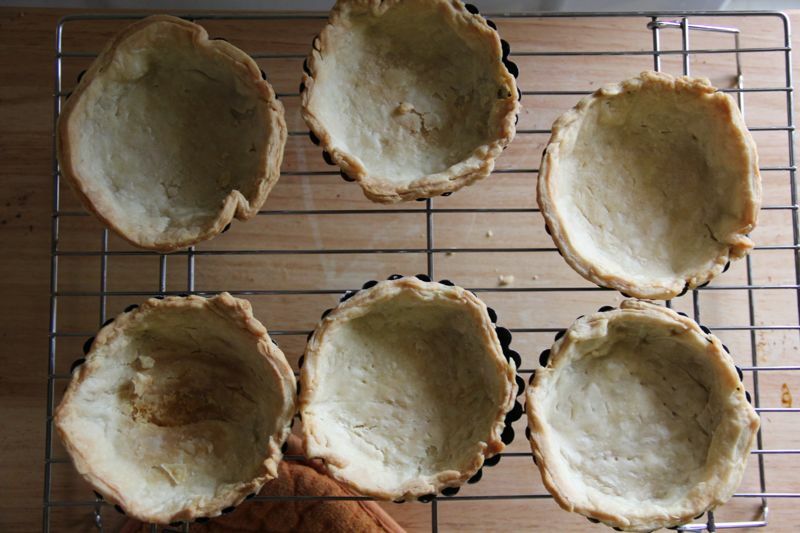 As I held a cooling shell in my hand early this morning, I realized I wasn’t supposed to fully bake the shells for the Frangipane Tarts. Ah!!!! I was still thinking about those Lemon Cream Tarts! So, I decided today was the day to improvise! I’m counting it in the recipe tally, but there is a little asterisk by the number just because it’s not entirely from the cookbook. I decided to toast the rest of the slivered almonds I had from the toffee I made the other day. 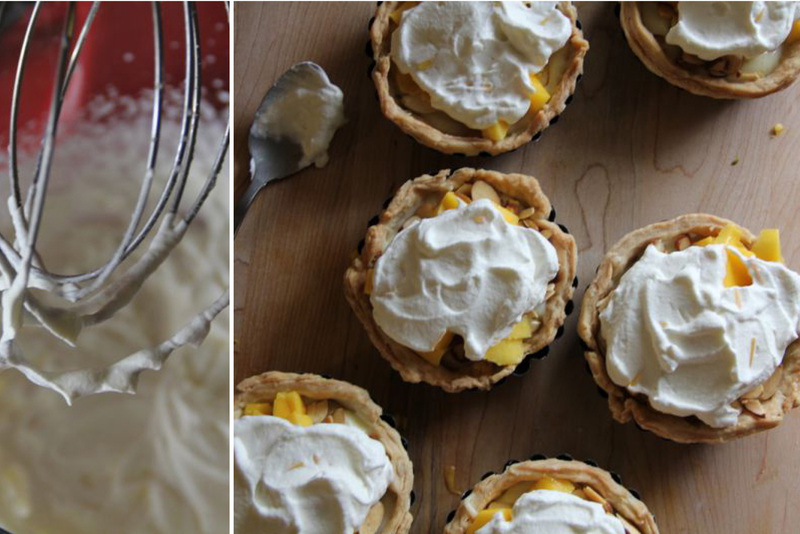 I absolutely love pastry cream, and any excuse to make it (and inevitably eat a lot of it!) is always a top priority. 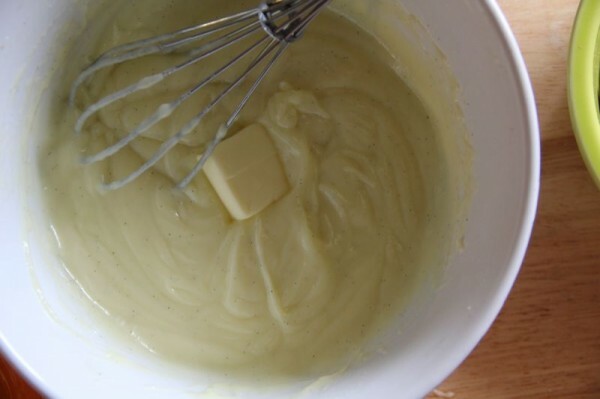 Those little flecks of vanilla bean make my heart skip a beat, so I had to include it today. On the hunt for the best looking fruit at the grocery store today, I settled on mangoes. And, perfect timing because I read this article over on The Kitchn blog about how to cut a mango. 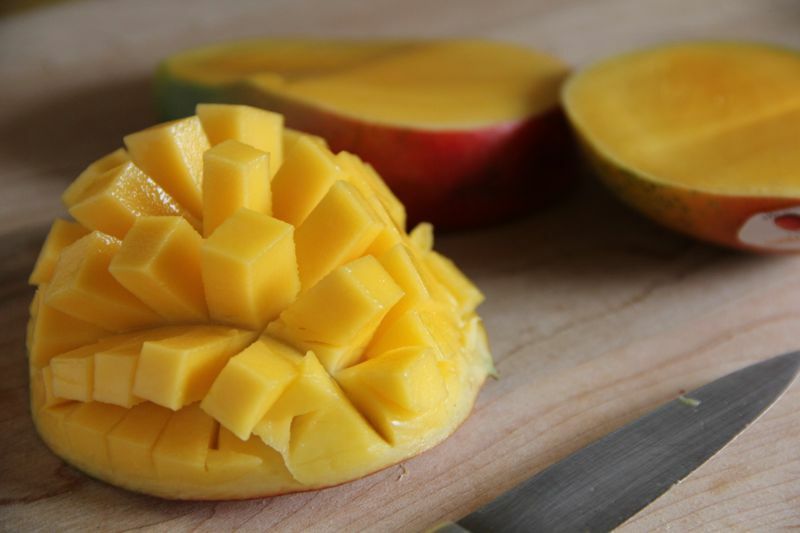 I’ve actually cried cutting mangoes before. I think it was the stress of exams and a bad break-up, but the difficulty of cutting the mango probably pushed me over the edge and brought the waterworks. 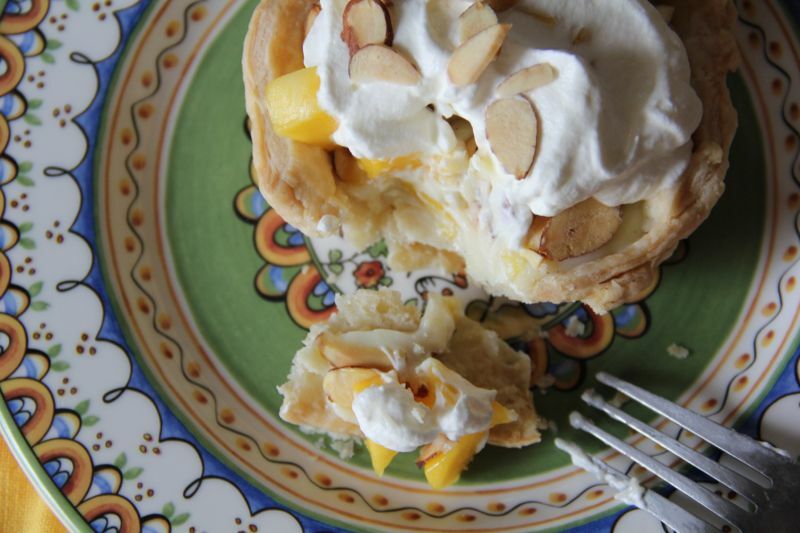 So thanks, The Kitchn, no more tears and there’s now a moment of a beautiful bloomin’ mango thing. Once I assembled these little guys they looked like they were missing something. They would’ve had heaping piles of mango, but one of the mangoes I grabbed today was bad. Figures. So, I opted to make some softly whipped cream to top it off. I’ve never been so calm when everything seemed to be going awry. I can be such a perfectionist, and honestly pretty hard on myself when things don’t turn out exactly how I’d envisioned them. If I was more technologically savvy I would cue up that sappy “Full House” music when you reach this point in the post. (And I’d have Danny Tanner read the rest of this aloud for you.) I’m just learned a great deal about baking and myself as I move through this book. That nervousness and anxiety is fading as I am becoming more of a confident baker. So that’s pretty great. These tarts ended up being a real favorite around here. The little dude was dancing around as we split one, and Dan proclaimed, “This is the best thing you’ve ever made.” I don’t know about that, but these were definitely worth making again some time. And, most certainly worth the three miles I will run today. 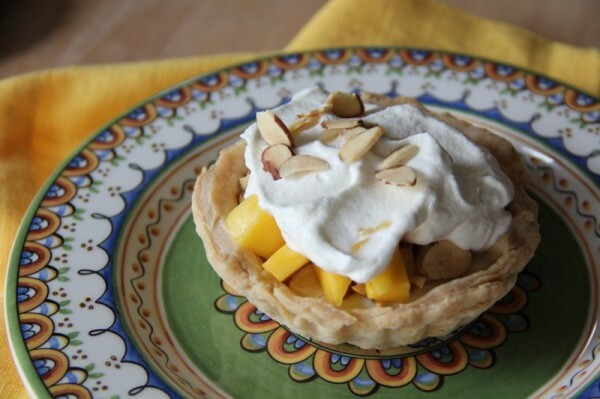 Ah, pastry cream and mango! LOVE! wish I had some mangoes now.. I know what you mean about cookbooks! My collection isn’t too crazy right now, but I’m trying my best to not buy any until I’ve used something from the ones I’ve got too. It’s so hard! Oh, thanks! It always is so great to hear when people love my blog! Glad you’re enjoying the letters!